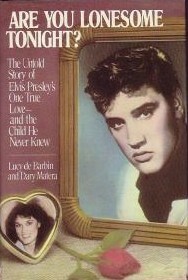 Elvis books: fact or fiction??? ONE OF THE QUESTIONS I am most frequently asked is, "So many Elvis books . . . how do I know who's telling the truth and who isn't?" Maybe "telling the truth" is a little harsh. Maybe it should be, "which ones are accurate and which are not?" Because in some cases, the Elvis writers might actually believe they are writing the truth; but research proves them inaccurate. When it comes to outright bending the truth, however, my vote for the two worst are Lucy De Barbin's book, Are You Lonesome Tonight?, and "Cousin" Earl Greenwood's The Boy Who Would Be King. First, De Barbin. The first outright lie is when the Louisiana honey writes that she first met Elvis in the spring of 1953 when Elvis, with his band, played a gig in her hometown. She writes they instantly fell in love, but she was married at the time and Elvis did not want to do anything to harm that marriage. It is a known fact that did not graduate from Humes High School until June 1953 and did not have a band until he joined up with Scotty Moore and Bill Black in the Sun Studio in the summer of 1954. Next, in De Barbin's fictional account of their romance, she came to Memphis in the fall of 1953 to do a modeling show at the Memphis Zoo. By now, she wrote, Elvis was making his way to becoming a star and she, a married woman, didn't want to chance ruining his future. Thus, she never told Elvis she would be in Memphis. She wrote that after the modeling gig, she was nervous, so she went and rented a horse and was riding up this mountain in Memphis when she heard another horse rapidly overtaking her. She looked over her shoulder and, lo and behold, there was Lancelot, her pet name for Elvis, riding alongside her.They rode to the top of the mountain and lay in the flowers, spending the night there making love and looking down on the twinkling lights of the city. When I read that passage, I almost fell out of my chair laughing! First, the only place you could rent horses in 1953 in Memphis was at the Fairgrounds (now Libertyland), and even then, those horses were not allowed off the Fairgrounds. Second, a mountain in Memphis?! Maybe her ghost writer looked at a map of Memphis and saw the major street, Mount Moriah, and figured it was a mountain. Or maybe he saw the Orange Mound area just south of the Fairgrounds and figured that was a mountain? Regardless, Memphis is, has been, and forever will be (until the next Ice Age, perhaps), as flat as a pancake. The nearest mountains to Memphis would be the Ozarks in Arkansas, some three hours to the northwest. And flowers blooming on the mountain top in the fall? Must have been Arctic roses? Nine months later, daughter Desiree is born. That would put her birth somewhere about June 1954 -- still a month before "That's All Right Mama" was recorded and anyone knew there was anyone named Elvis Presley. She kept it a secret from him, she says, again so it wouldn't ruin his career -- in June 1954. Her last meeting was when she heard he was opening in Las Vegas in 1969. She went to his hotel and bumped into him in the lobby, and he generously reached into his pocket and gave her a $1000 bill for spending money. Anyone who ever knew Elvis, or was close to him, know Elvis never carried cash in his pockets. Even when he needed a nickel (in those days) to get a Coke out of a machine, one of the guys had to dip into his own pocket to buy the boss a Coke. The part I liked most was when the two De Barbins appeared on a national TV talk show and someone called in to ask Lucy the color of her eyes and the color of Desiree's eyes. "Mine are brown; Desiree's are green," she answered. "Well," the caller replied, "I am a registered nurse who knows something about genetics. You say you have brown eyes. Elvis' eyes were blue. It is impossible for brown and blue to have a green-eyed daughter." "Errr," Lucy stuttered. "I said they were green, but if you look closely you can see they are blue." A change of colors right there on live TV. Her book was released and they were making a book signing tour of certain USA cities. Memphis, naturally, had to be one. After all, Memphis is the hometown of Desiree's "daddy." I went to the book store and was kneeling in front of them photographing them up close when a fan whispered to Desiree that I knew Elvis. "I understand you knew my father," Desiree asked me. "I don't know," I replied. "Who was he?" IN ORDER TO BECOME "Cousin" Earl Greenwood, Earl had to do some re-arranging of the Presley family tree. There were five Presley children -- two boys and three girls. In order to slip his family roots into the Presley tree, in his book "Cousin" Earl conveniently turned two sisters -- Nash and Delta -- into one person, named Delta Nash. Since now there was an opening, he inserted his grandmother, Dixie Presley, and to explain why no one ever heard of her, he wrote that she contracted syphillis of the brain and had to be secretly put in a hospital away from Tupelo to escape the shame. 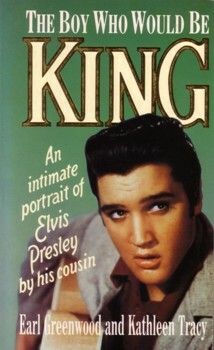 In his opening chapters, "Cousin" Earl revealed he was two years younger than Elvis. Elvis was born in 1935. Thus, Earl would have been born in 1937. (Check my math here because it comes important just a couple of paragraphs below.) Earl said the Presleys were so poor they came to the Greenwood home every evening to share the Greenwoods' dinner at their table. One night, he wrote, the tornado sirens began blaring. "Aunt" Gladys grabbed up her infant son, Elvis, and took her drunken husband, Vernon, by the arm, while Mrs. Greenwood grabbed Earl and her drunken husband and they all headed for the storm shelter behind the house. Enroute, "Cousin" Earl said: "Aunt Gladys, I was reading in the paper the other day of a tornado in Pennsylvania. The people in the town all went down in the mine shaft and the tornado dipped in there and killed nine of them." To which Gladys replied, "Cousin Earl, hush your mouth. My boy is already scared as it is." Now, back to the math. The Tupelo tornado happened in the spring of 1936, one year prior to "Cousin" Earl's birth !!!! Which would make him one highly intelligent embryo, already able to read newspapers before his birth. Also, tornado sirens did not exist until years later. I would later confront both Aunt Nash and Aunt Delta and jokingly accuse them of being imposters and hiding the fact there was an Aunt Dixie. "Who told you that?!!!" both shouted at me in individual confrontations. "Earl Greenwood." "WHO is Earl Greenwood?" both asked. A search of the Tupelo telephone and city directories for the Greenwood family from 1935 to 1948, when the Presleys moved to Memphis, turns up no Greenwoods! Of course, "Cousin" Earl was right there with Elvis just before he went on stage at the Tupelo Fair in 1945. It seems Elvis was always nervous and always asking "Cousin" Earl for advice, even in pre-teen years. It was "Cousin" Earl who suggested Elvis sing "Ol' Shep" on stage and assure Elvis he would do well. And he did -- winning 2nd place and $5. Except, Elvis never won 2nd place or $5 that day, or any other day at the Fair. (More on this later.) Once the Greenwoods moved to Memphis, the Presleys had no source for free dinners any longer, so, according to "Cousin" Earl, the Presleys followed the Greenwoods to Memphis. He writes of Elvis being in an English class with Dixie Locke at Humes High School and how they became sweethearts and often doubledated with "Cousin" Earl and his girlfriend. Earl writes he attended Tech High School. 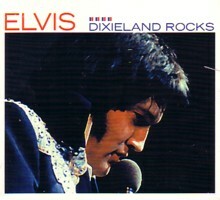 On reading this, I called Dixie and said, "You liar! You've been telling me all these years you went to school with my first wife at South Side High School and now I learn you went to Humes!! "Who says?" quizzed Dixie. "You know I went to school with Frances (my first wife)." "Earl Greenwood." "WHO is Earl Greenwood?" You would think someone who doubledated with "Cousin" Earl as much as he claimed would remember him. Again, a check of Memphis city directories and phone books, as well as the Tech High yearbooks, 1948-55, turn up no Greenwood family bearing his father's name, and not even a Greenwood petrol station he said his father owned. "Cousin" Earl, of course, was riding in that Crown Electric truck late one afternoon in June 1953 when he remembered, "My god, it's 5 o'clock and I haven't bought Mama a birthday present yet." They just happened to be driving past Memphis Recording Service at the time and saw a sign in the window saying you could make a record for $4. Elvis hurriedly parked his Crown Electric truck and, with "Cousin" Earl at his side, dropped down $4 and asked Earl, "What song do you think I should sing?" 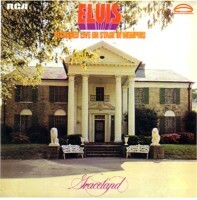 According to the book, Elvis cut the record and they went to the Greenwood home to listen to it because the Presleys didn't have a record player. Now, consider: 1. Elvis was working at M. B. Parker Co., not Crown, when he cut his first $4 record. 2. Gladys' birthday was in April; not June. 3. And if the Presleys didn't have a record player, how was Gladys going to listen to her birthday present? ONE OF THE FIRST THINGS I turn to when I pick up any new Elvis book is the writer's account of Elvis winning 2nd place and $5 at the Tupelo Fair in 1945. If I read that passage, then I know the author hasn't done his/her homework. We discovered this Elvis Myth on the first day we started our own research on my book, "Early Elvis: The Tupelo Years," in February 1994. Not only did we discover Elvis did not win 2nd place, we learned the woman credited with winning 1st place that year actually didn't win her prize until the following year, 1946, and even she didn't know it until we presented her with our research! We found a grimy photo of the 10 contestants on stage that day and it clearly shows Elvis won no trophy; also that he was wearing glasses. We questioned classmates and family members about the glasses and one and all assured us Elvis did wear glasses, briefly, in the 5th Grade. Also, it took us 4 months to find the little girl -- now a grandma -- who did win 2nd place and she still has her trophy. Photos of all this appear in our "Tupelo Years" book. If I wanted, I could sit here and write an entire book about the inaccuracies in the many, many Elvis books printed to date (over 1,600, in fact). Most authors devote page after page to their bibliography, citing in what other books they found their "facts." Peter Guralnick, in "Careless Love," for instance, devotes 89 pages to his bibliography, causing me to ask aloud over the years, "WHO did he actually talk to?" Our books (and I am now writing my 13th Elvis book) take an opposite approach. We don't read others' written works. We go straight to the sources for our information -- to family members, neighbors, classmates, teachers, band members, etc. And when we hear a story that seems to need further checking, we make every effort to hear that same story from at least three different sources before printing it as fact. So, next time you see a new Elvis book being offered, turn right away to the Tupelo Fair 1945 era and see how it is reported. That will give you a quick indication to how deep the writer researched. 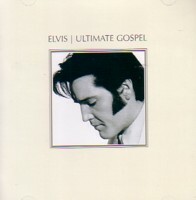 Book: Elvis Presley The Man. The Life. The Legend. Book: Raised on Elvis! Elvis! Elvis! DVD review: "The Elvis Collection"
Exclusive excerpts from "The King Is Dead"